In the latest chapter book about the irrepressible young grade-schooler, Stink is proud of his report card with all the Os for Outstanding, but there is one U for Unsatisfactory; he flunked Phys. Ed. 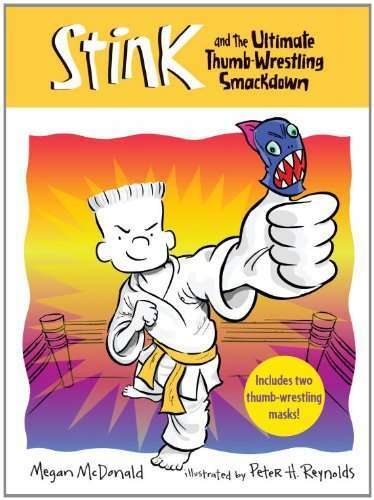 So he looks for a sport he likes and tries thumb wrestling, but it is the karate class that’s the best fit.